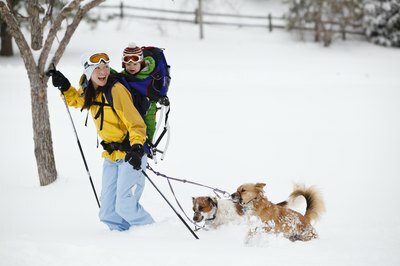 Cross-country skiing is a leisure sport, so you can take in the sights. Cross-country skiing, also called backcountry or Nordic skiing, is not only pleasurable, involving scanning a panorama of winter wonderland at a relaxed pace, but also good for you, a low-impact sport working all major muscles. This oldest type of skiing developed from the need to traverse snowy lands. 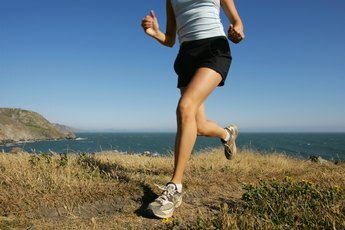 On cross-country skis, only the toe attaches to the ski. The heel is free. This allows you to maneuver up and down multiple terrain types. As a beginner, touring skis, also known as track skis, are your best bet. These are made for easy gliding on the no-obstacle, manicured trails, designed for newbies. Touring skis allow you to move efficiently across the land. They are longer, lighter and more narrow than metal-edge skis. Many cross-country touring centers do not allow metal-edge skis on their tracks. 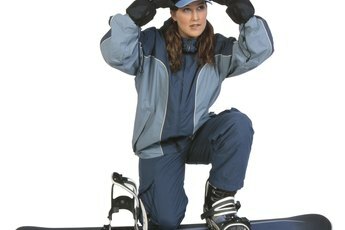 They are for more advanced backcountry skiing, which usually means you set your own trail. When considering ski length and width, consider where and how you'll most frequently cross-country ski. As a beginner, stick with light and narrow skis. They are developed for groomed starter trails. Heavier, wider skis are for advanced backcountry skiing. The rule of thumb for gauging proper length was to raise an arm overhead and pick the skis whose tips reached your wrist. 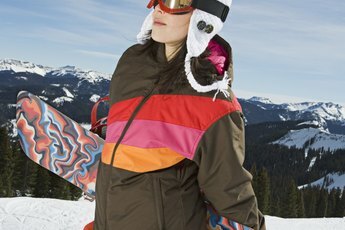 Nowadays, according to REI, body weight is the main determinant of proper ski length. Shorter skis, which are easier to handle, are best for beginners. Ski trails are groomed with a width of 60 to 70 mm so touring ski tips should be no wider than 70 mm. Touring skis come in wax or waxless varieties. By far and away, waxless are the best option for beginner cross-country skiers. They offer greater convenience because they are less of a hassle to maintain. While they may slightly hamper the glide, the textured surface digs into and grips snow, which is an asset. There are 350-plus cross country ski areas in the U.S. and Canada for you to explore. As a beginner, you will find your best pair of starter cross-country skis by renting from a specialty store, at least for a day. This way, you can try the skis to ensure a comfortable fit and avoid having to make multiple simultaneous selections, from skis to boots, bindings and poles. The shop will gather data, including weight and height, then select and bundle equipment for you. Later, if you decide to buy skis, shop online to save cash, hit a specialty shop or buy used skis at season's end. Just be sure they are not damaged and in overall good condition. 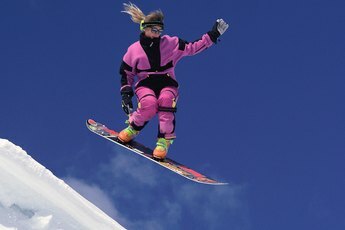 What Is a Good Beginner Women's Snowboard? What Is a Sidecut on Nordic Skis? What Foot Does a Leash Go on in Snowboarding? What Kind of Skis Are Good for a Woman Who Is a Medium Aggressive Skier?